We are delighted that our pupils have received a letter from the Queen's Lady-in-Waiting! 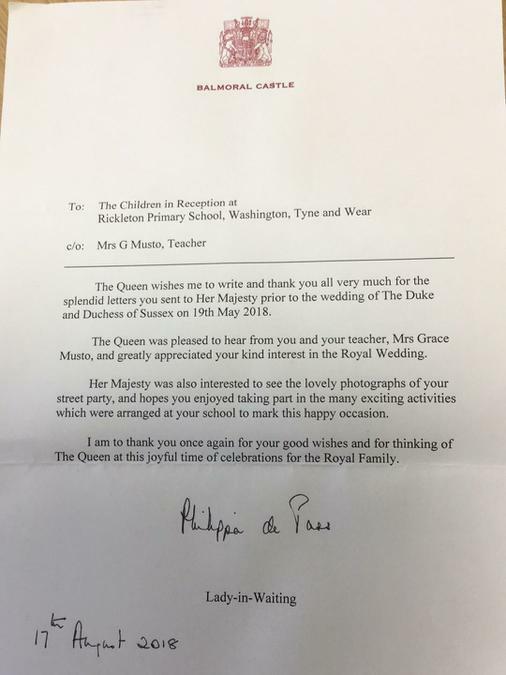 She has written to thank the pupils for the letter they wrote to the Queen informing her about the Royal Wedding party they had in honour of the marriage of the Duke and Duchess of Sussex. The letter tells the children how the Queen was pleased to see the lovely photographs of them enjoying their party.